Or at least that’s what the US government would call it if it were happening anywhere but Israel. Regardless, it is apartheid. July 15 (or 17) 1505: Martin Luther fulfills his vow to St. Anne and enters the Augustinian monastery in Erfurt. The night before, he held a small party for his friends where he said his farewells and gave them his law books. In the monastery Martin lived under the order’s strict rules including seven worships services held throughout the day. These services began at 3 a.m. with Matins. Services continued during the day with Prime (6 a.m.), Terce (9 a.m.), Sext (noon), None and Vespers (3 p.m.), and Compline (before bed at sunset). Life in the monastery was not easy. Aside from the worship services, each member of the community had his individual duties. All of this was aimed at making penance for his many sins – real and perceived. Because he felt that he could never be sure that he had satisfactorily fulfilled all that he needed to in order to atone for his sins, Martin regularly fasted and beat himself to appease a God whom he had been taught to be a demanding judge. It was also in the monastery that Martin also took up an intense study of scripture. Here, then, he began to see some of the inconsistencies between scripture and Roman Catholic canon law. But this was only the beginning. 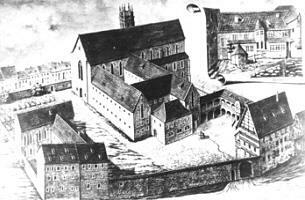 The drawing is a medieval rendering of the the monastery. Elon Musk Didn’t Help Save The Thai Boys. Now He’s Attacking Someone Who Did. Elon Musk is attacking a diver who helped rescue a group of teenage boys from a Thai cave last week after the rescuer criticized Musk’s mini submarine, which he designed to help with the mission. Musk is very petty. There seems to be a lot of that going around these days. Seems that those who can’t, demean, and those who can, do. *NB- This post refers to the one immediately before it- not to a tweet or to some other material elsewhere. This apparently has to be said because many lack the ability to read things in context and rather than ask, simply assume that their reading of a post must refer to something they wish it to. It’s tragic that some ‘scholars’, who fancy themselves competent interpreters of ancient texts, lack any ability to rightly understand a text written in 2018. Such inability calls their interpretations of everything else into serious question. Here’s the kind of stuff the angry little toad does when he’s hell bent to ‘get you’. He also writes editors and tries to get you removed from editorial boards. Sad Tom, it didn’t work then and it won’t work now. But keep trying. You’re the only one who doesn’t understand what posts are about. But do keep up your campaign. It’s funny as all get out and you’re exposing yourself as the little small minded tyrant and manipulator we all know you to be. 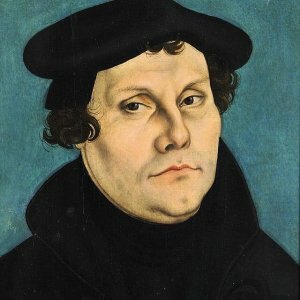 Luther himself was greatly dissatisfied, and regarded the disputation as a mere waste of time. He made, however, a deep impression upon younger men, and many students left Leipzig for Wittenberg. After all, he was more benefited by the disputation and the controversies growing out of it, than his opponents. The importance of this theological tournament lies in this: that it marks a progress in Luther’s emancipation from the papal system. Here for the first time he denied the divine right and origin of the papacy, and the infallibility of a general council. Henceforward he had nothing left but the divine Scriptures, his private judgment, and his faith in God who guides the course of history by his own Spirit, through all obstructions by human errors, to a glorious end. The ship of the Reformation was cut from its moorings, and had to fight with the winds and waves of the open sea.